Microsoft is kicking the “Project Spartan” codename to the curb, revealing “Microsoft Edge” as the official name of its new web browser. Microsoft said the name refers to being on the edge of productivity and consumption (though it's also the name of the browser's rendering engine). As Microsoft announced previously, Edge will be the default browser in Windows 10, while Internet Explorer will become a legacy option for compatibility reasons. 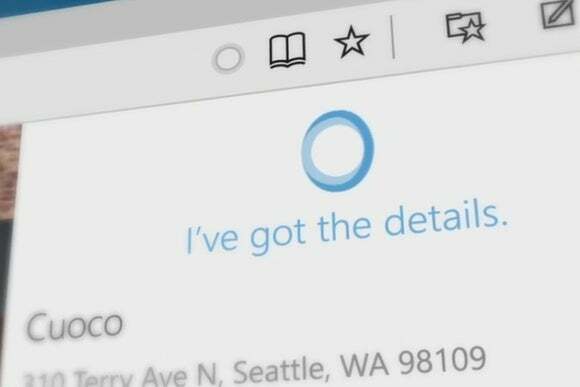 Edge is supposed to be lighter and faster than Internet Explorer, but with new features such as a built-in notation tool, a distraction-free reading mode, and website information from Cortana. Why this matters: Microsoft's has made many attempts to convince people that Internet Explorer isn't terrible, but in the end the company has decided to make a clean break. Edge will be a major feature in Windows 10, and in addition to knowing how extensions will work in the new browser, we finally know what to call it.